The Model 700 has a bolt action which is manually operated and contains 2 forward lugs (dual-opposed). It has a lower bolt face which completely encloses the cartridge base. The extractor sits inside the bolt face as a C-clip. The ejector of the bolt face acts as a plunger which needs a coil spring to activate it. The bolt is constructed with 3 brazed pieces; the bolt handle, head, and body. Circular cross-section steel is used to mill the receiver. There are many variations of the Remington 700. The bolt body has 2 lugs that are symmetrical and a diameter that is 17.65 millimeters. The lock time of the long action is approximately 3.2 milliseconds. Different magazine configurations can be added to the Remington 700. You can add a blind magazine (which is a magazine without a floorplate), a detachable box magazine, or a standard magazine that does have a floorplate. Some versions are made for consumer use while others are made for police and military use. In some versions, there will be accessories like bipods and slings included with them. One Remington variant of the Model 700 is their Mountain LSS model. 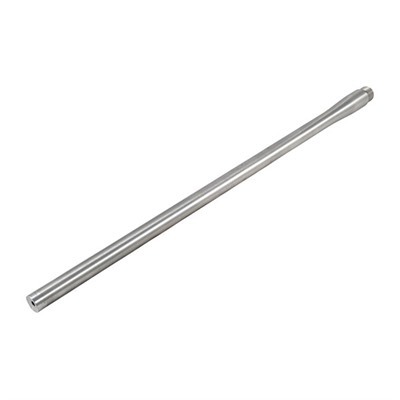 This contains a barrel made from stainless steel and a stock that is laminated. Another variant is the Remington 700 SPS Varmint which contains a heavy barrel and laminated stock. This model is made specifically for hunting varmint. For a while, the most affordable 700 model was the 700 ADL, but this would eventually get replaced by the Model 700 Special Purpose Synthetic (SPS). Since 1996, the Remington 700 ML rifle has been produced. This is a rifle which gets loaded at the muzzle. In 2000, the Remington 700 EtronX had the electronic primer ignition system built into it. However, this model and the EtronX primers only lasted on the commercial market for 3 years before their production was stopped. The model was simply not a success. Any good rifle has an array of beneficial upgrades to choose from and the Remington 700 rifle is no exception. Although the Remington 700 is a good rifle by itself, most of the OEM parts of the weapon are not the best they can be. Some of the upgrades you can make include a stock, bipod, magazine well, scope base, bolt lift, barrel, and trigger. You can upgrade all these parts or just some of them. The choice is up to you depending on your preferences as a shooter. As far as stocks go, the Magpul Remington 700 Hunter Stock for the Remington 700 is superior to all the rest. It is constructed with reinforced polymer which gives it a lighter weight and makes it easier for the user to handle. The length of the stock is even adjustable so it can be comfortable with your body and size. Some additional upgrades and accessories can be connected to this stock such as swivel stud attachments and ammo holders. On the other hand, if you’d rather keep your factory stock then consider upgrading your weapon with the Shilen Barrel instead. This upgrade will give your rifle more accuracy and all you have to do is drop it right into the OEM stock without having to perform hardly any barrel modifications. The Harris Bipod is an optional upgrade which can help you stabilize your Remington 700 and give you more accuracy when you are shooting your rifle. It is also helpful when shooting on uneven terrains where you cannot level yourself properly. Now, if you want to add a detachable box magazine to your rifle to increase your ammo capacity, then you’ll want to upgrade your rifle with the Magpul Bolt Action Magazine Well. It is a drop-in upgrade that is simple to install and use. If you are adding a sight scope to your Remington 700, you’ll want the Badger Ordnance Scope Base to go underneath it. This is a heavy-duty base that is made of steel. Recoil lugs are also included with this base so it can withstand the heavy recoil of the Remington 700. The Kinetic Research Bolt Lift is an upgrade that will provide an oversized bolt knob to your Remington 700 without needing to permanently modify the OEM bolt. In addition, you should upgrade the trigger with the Jewell HVR trigger because it will give you a lighter pull weight and it won’t corrode over time like the OEM trigger would. The reinforced polymer construction of this stock makes it easy to handle and use as a hunter. 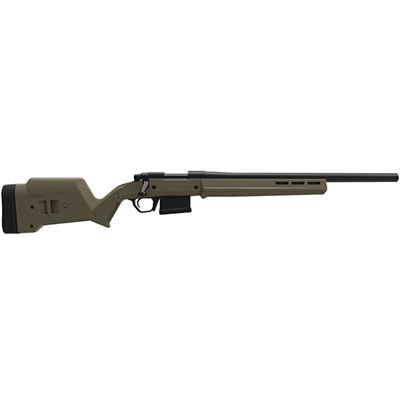 As you can probably guess, it is made specifically for the Remington 700 rifle which is a preferred rifle amongst hunters and competitive shooters alike. Plus, you can adjust the length of the stock to accommodate your body size and width. If you want to install optional swivel stud attachments, then you’ll find three marked drill points on the stock where you can do that. The best part is the stock has a simple “drop-in” setup which means bedding is not required. 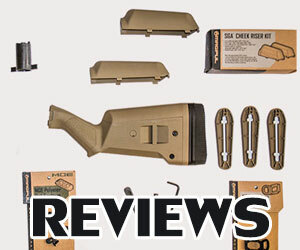 This is perfect for those who are not so experienced at upgrading their rifle by themselves. Another big requirement amongst Remington 700 owners is being able to use detachable box magazines in the weapon. Fortunately, you can use a Magpul Bolt Action Magazine Well with these detachable box magazines so you don’t have to perform any custom inletting on the Remington 700. Of course, the magazine well is something you’ll have to purchase separately along with the magazines themselves. The neat thing about the Hunter Stock is that it allows you to attach a wide range of other accessories. You can attach ammo holsters, mount slings and so many other options. For those who pride themselves with purchasing stocks made in America, you can rest assured that any stock you purchase from Magpul will be 100% USA made. This gives true hunters pride in their weapon because they don’t generally like to have a mixture of foreign parts and components in their Remington 700 rifles. That is understandable because most hunters feel pride for their country which gives them the freedom to hunt in the first place. If you have any trouble attaching the Magpul Hunter Stock to your Remington 700, there are a variety of tutorial videos on the internet which will help guide you through it. But you really shouldn’t have that much trouble because of its drop-in solution for the installation. However, if you are not sure about what you’re doing, especially when it comes to drilling holes in certain places, then just have a professional gunsmith perform the installation for you. There is no sense in ruining a $260 stock over a misunderstanding of how to install it onto the receiver or how to attach an accessory onto the stock. Once you figure it out though, you’ll be in love with this stock for every outdoor sporting activity that you take part in with your Remington 700. Bipods are those two-legged attachments that go underneath your weapon so that you can stand it up on the ground while you’re firing it. There are certain situations where you might want to use a bipod for your Remington 700 rifle. Naturally, if you are just going out hunting on foot in the woods, then you won’t need a bipod. 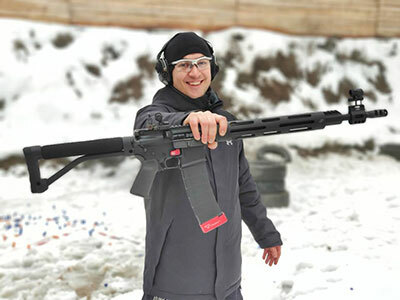 But if you are staying in one place and waiting for your target to come to you within a reasonable distance away, the bipod is an essential accessory to add on to your Remington 700 rifle. Bipods are used by military soldiers in war, police officers in a shootout, and hunting in one place while waiting for your prey to cross your sights. Whatever the reason is, bipods will give your weapon stability which will increase your accuracy. If you are looking for a reliable and durable bipod for your Remington 700 rifle, then try out the Harris Bipod with it. While there are other bipods that can steady your rifle fairly well, the Harris Bipod gives the Remington 700 ultimate stability because of its solid base. Rather than being lightweight and rotatable, the bipod is heavier and secures the Remington 700 in place more than any other bipod could. Now, you might not like that it can’t rotate or swivel but you’ll see the benefit to this when you actually go to use your rifle with the bipod. The fact that it keeps the rifle securely in place means that you’ll have the best stability and accuracy that you’ve ever had before. Then you can successfully hit your targets more often, which would certainly come in handy during situations where your life depends on it. The Harris Bipod is an excellent choice if you want to be able to adjust the legs of your bipod quickly. 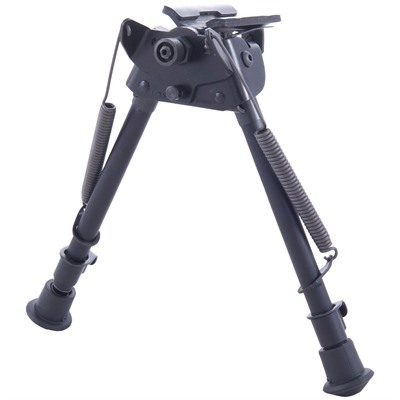 Like the others, it is a suitable bipod for many types of terrains and weather conditions. The only thing lacking in the Harris Bipod is the ability to swivel it around. The Remington 700 is a bolt-action rifle that is the preferred weapon of hunters. But like with many rifles, it is not able to hold that much ammunition on its own. The only way to increase its ammo capacity would be to add a detachable box magazine to the rifle. There are two recommended upgrades you should make to your Remington 700 rifle in order to get the best possible result with this. First, you need to switch the OEM stock that came with your rifle to a Hunter 700 Stock. This particular stock has a trigger guard made of reinforced polymer which adds comfort and durability to your weapon. Not only that, but you can add the Magpul Bolt Action Magazine Well to it too. This magazine well is what you’ll need so you can add a detachable box magazine to your Remington 700 rifle. 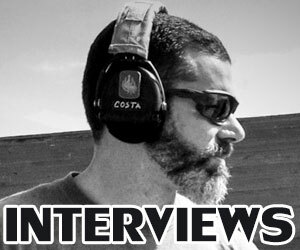 So, why is the Magpul Bolt Action Magazine Well so special? For starters, it has a drop-in solution with the Hunter 700 Stock so that you don’t need to have a professional gunsmith perform custom inletting on your rifle. You just remove the metal OEM bottom of your rifle and then slide in the Magpul Bolt Action Magazine Well into it. You don’t need to be a professional gun person to learn how to do this. The upgrade is a very simple process that anyone can learn to do. Plus, this magazine well is also made out of reinforced polymer so it will have the same durability as the Hunter 700 Stock. Sometimes the stock and the magazine well are sold together, depending on which weapon parts store you’re shopping at. 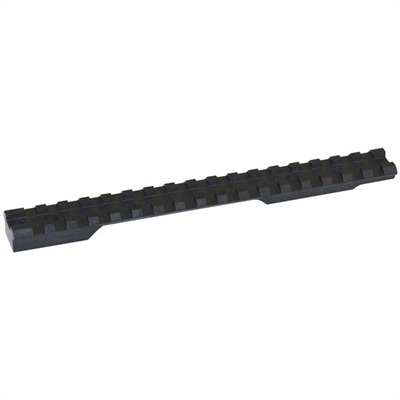 The price of the Magpul Bolt Action Magazine Well is determined by which Remington 700 version you are purchasing it for. After all, there is a Remington 700 long action rifle and a Remington 700 short action rifle. Each type of rifle has a separate Magpul Bolt Action Magazine Well that is compatible with it. If you are purchasing the magazine well for the long action rifle, it will cost you around $75.95 on the Magpul website. 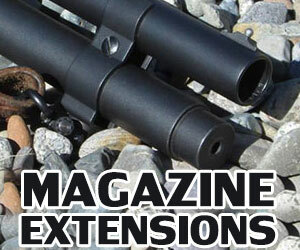 If you are purchasing the magazine well for the short action rifle, the cost should be around $69.95. There isn’t much of a price difference, but you still need to pay attention to which magazine well you’re purchasing so that you know it’s compatible with your particular Remington 700 rifle. If you are adding a sight scope to your Remington 700, you’ll want the Badger Ordnance Scope Base to go underneath it. This is a heavy-duty base that is made of steel and allows you to elevate the scope to give the shooter a comfortable position when conducting long range firing. Recoil lugs are also included with this base so it can withstand the heavy recoil of the Remington 700. If you own a Remington 700 then adding a quality bolt knob to your rifle is essential. Bolt action rifles like the Remington 700 require you to manually open the bolt inside the barrel with a handle so that you can unload the ammo case you just used. Then when you go to close the bolt in the barrel, a new round of ammo takes its place in the chamber. 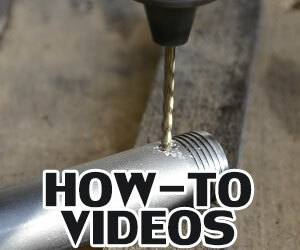 The whole process occurs in a matter of seconds, but if you can’t grip the bolt action properly then it could cause an ammo casing to get stuck in the barrel. That is why you need a quality bolt knob made by a professional weapon parts company. The Kinetic Research Bolt Lift is one of the most original bolt lifts you can purchase for the Remington 700. 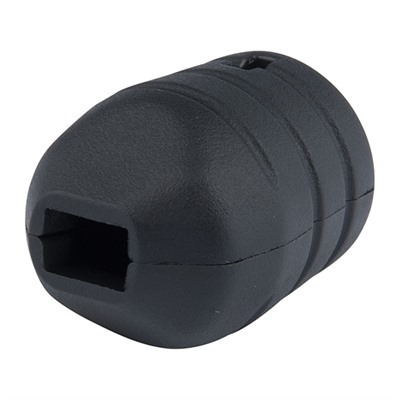 The bolt lift is similar to a tactical bolt knob because it is oversized and easy to grab. This allows you to easily grab it under very tense conditions, whether you’re in a warlike environment or simply have to endure heavy rain which makes everything slippery. The Bolt Lift will never get slippery because reinforced polymer construction. The best part is you don’t have to replace your OEM bolt handle in order to install the Bolt Lift. 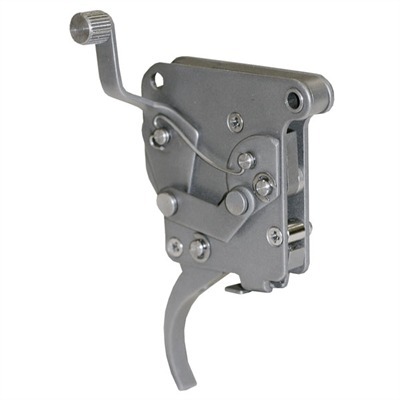 The product comes with special spacers which allows the Bolt Lift to fit onto the OEM handle. There is also a stainless-steel screw that you use to clamp together the two halves of the knob. Then you can add extra reinforcing pins to ensure it stays on there like it’s supposed to. The only extra tool you’ll need to perform this installation is a 5/32” Allen wrench. There are two versions to the Kinetic Research Bolt Lift; the standard size Bolt Lift and the small size Bolt Lift (called Bolt Lift SV). The only difference between the two bolt lifts has to do with the size of the knobs. The Bolt Lift SV is suitable for users who prefer to have a more compact knob that is still easy to grip. Both knobs are made out of the same reinforced polymer so they’ll still be able to survive the same weather conditions. It just matters what you’re particular size preferences are for the knob of your bolt action handle. The cost of each knob is around $28.50. So, this is certainly an affordable upgrade if you feel like you need to grip your handle better in adverse environmental conditions. The Remington 700 rifle is a good weapon but the factory manufactured trigger that comes with the weapon is nothing special. With about 5.5 pounds of pull weight, it will be difficult to fire the weapon when you need to make precise shot. That is why many owners of the Remington 700 rifle are ditching the OEM trigger and replacing it with a trigger upgrade which has much better pull weight and reliability. 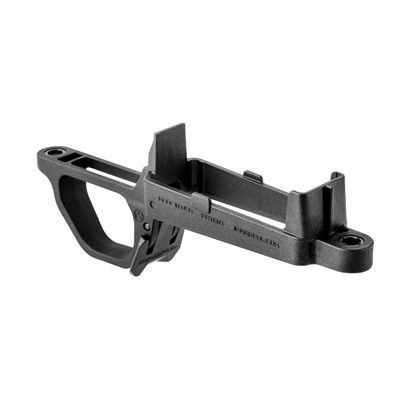 One trigger that is highly recommended by Remington 700 owners is the Jewel HVR Trigger. It is made of stainless steel which increases its durability and prevents corrosion from occurring on it. All the internal components, as well as the side plates, are made of stainless steel as well. As for its functionality when firing, it is totally superb. 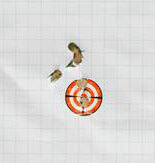 Shooters typically like triggers which increase their precision when shooting at a target. The Jewell HVR will provide this and so much more. It is even adjustable on the outside and doesn’t even require you to remove the barreled action that is connected to the stock. The Jewell HVR Trigger can be purchased for around $200 to $250. For such an important component to a rifle, this is not a bad amount of money at all if you use your rifle on a regular basis. And because it’s made of stainless steel, you won’t have to clean the trigger very much either. 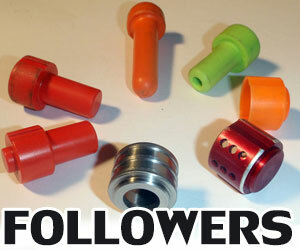 Ask ten professional shooters about the best trigger and I am sure that at least 9 of them will recommend Jewell.